Bangkok as a city did not charm me as a traveller. 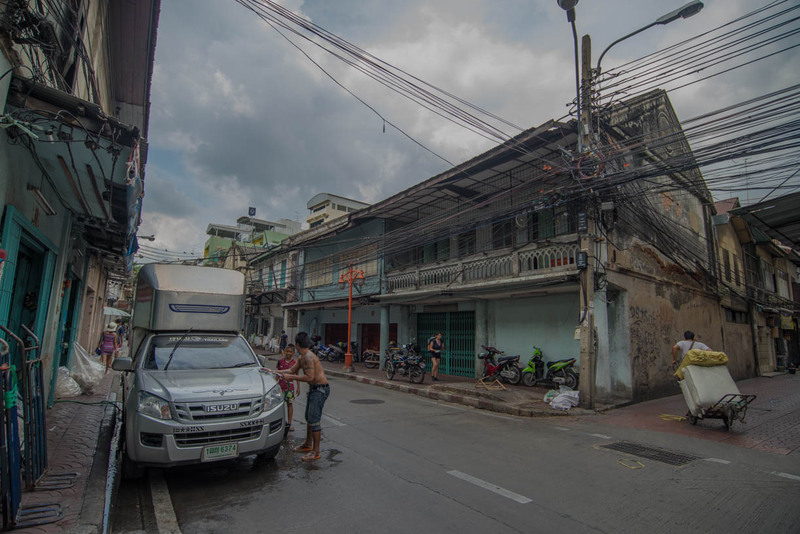 Crowded streets, over-hyped venues, the infinite myriad of shopping malls & massage parlours and more taxis than people took off whatever good image of Bangkok I conjured up during my 3 day stay at Koh Samui. However, an evening in Chinatown was just what I needed for unwinding. It is as crowded as it can get, but the brightness of the neon lights and the constant echoes of the delightful hawkers, all made up for a wonderful experience. Chinatown is one of the oldest localities of Bangkok. The most important highlight of Chinatown is the ‘authentic’ Chinese cuisine which is served as freshly prepared delectable meals on the streets. Culinary satiation just got a new definition at those food stalls. One can easily get lost amongst the plethora of choices on offer before deciding on what to order. The best part however is the menu card. What makes it so special is that the actual photos of the dishes are printed along with the standard written descriptions. This comes as an immense help in the decision making. Imagine visualising a 20 page menu card with each page displaying 6-8 items on average ! The vendors also sell a lot of items ranging from sun-dried and packed food to fresh fruits, gift items, household items and what not. Always polite and greeting each customer with a smile, one does not have the heart to bargain here, but has to because striking a good deal is the name of the game and bargaining is an intrinsic feature of shopping in South-east Asia. You can also witness quite a few well fed nourished cats who don’t give a damn about anything else in the world and continue to snore away to glory amongst the hustle bustle of the street. My second visit was during daytime and it was in the back alleys of Chinatown. Boy, this was vintage Bangkok on show ! Old and dilapidated buildings, small business establishments with office interiors made of wood and glass, godowns in immaculate order, porters and regulars going about their daily businesses, was something of a discovery in this town where the glitz of the high-rise buildings steals all the glamor. We did get a few stares from the amused locals who were wondering how come their alley had some visitors ! The streets were of course not clean and the locality was definitely not hygienic, but being from India, I can never compare or complain ! Parallel to the road runs a river and there are about 3-4 places where one can board a ferry and cross-over to the other side. But they always charge more to tourists. It helps if you can befriend a local. All-in-all, a visit to the Chinatown should be on everyone’s agenda whilst visiting Bangkok. You will come back earning for more. 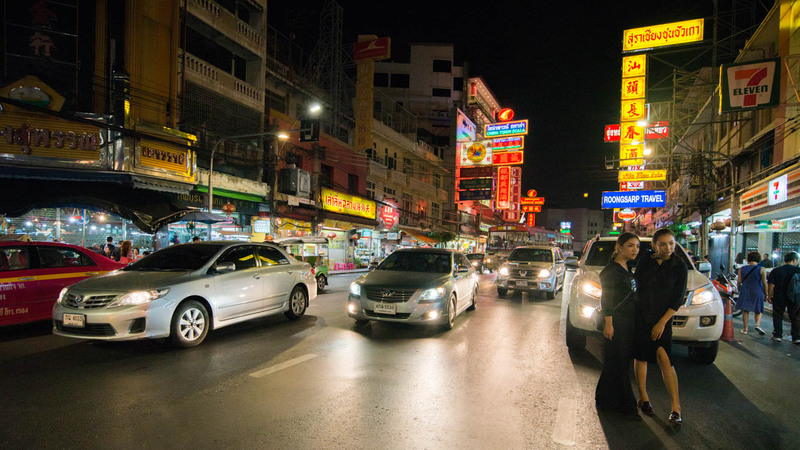 And yes, even for Chinatown the famous one-liner ‘One night in Bangkok makes a hard man humble’ stands true …. And in a more significant way.